Phil Tajitsu Nash teaches Asian Pacific American history, art, and public policy courses, and has served as Founding Executive Director of the Asian American Justice Center, Staff Attorney at the Asian American Legal Defense and Education Fund (AALDEF), and Curator of the APA Program at the Smithsonian Institution’s 2010 Folklife Festival. He has taught APA courses for over thirty years, and recently summarized his experiences in an article and speech. 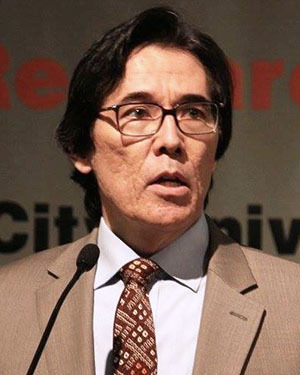 Nash also is affiliated with the University of Maryland Latin American Studies Center, based on his decades of work with Native Americans in North America and Brazil on human rights, culture, and language issues. He helped to bring a Lakota language workshop to UM, and has taught a Study Abroad class for students in the Brazilian Amazon, where they studied rainforest ecology and indigenous issues.